Well, I’m still singing “It’s a Small World” and pointing my wand at objects hoping I have undiscovered wizarding abilities, but alas, it’s back to reality. But that’s okay because here, reality is cats and dogs and that’s all a dream to me. One of the common themes during my recent trip to Orlando and its amusement parks was superheroes. I wasn’t into comics as a kid but I always wished there was a Wonder Woman or Superman out there. Someone saving the day and making sure the world was safe. While I’ve yet to confirm Batman is real, I do find there are plenty of heroes in daily life. In my world, those heroes come in the form of those protecting and fighting for our four-legged companions. Working in rescue is no joke. The hours are long, the pay is little and it can be absolutely heartbreaking at times. But they do it because they love animals. These people are my heroes. Enter Chris and Shelly, the founders of the CatCade. 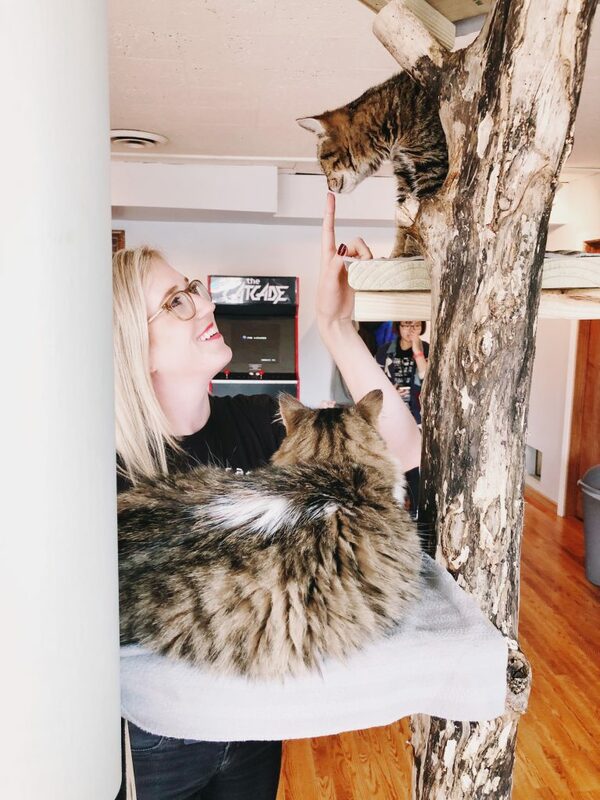 They traveled around the world visiting cat cafes and eventually decided to open one here in Chicago. Boy am I so glad they did. Not only do they save literal lives, but they do it in a way that excites the shelter community. 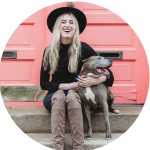 Their social media posts keep me laughing and engaged long after I’ve visited with their four-legged residents. One particular post that still stands out to me was one about being excluded from the cool kids’ table. They’re relatable in a way I haven’t seen in the shelter community. Chris and Shelly literally eat, sleep and breathe the CatCade. It’s not easy I’m sure, but they have told me they love every minute of it. What I admire about Chris and Shelly and the CatCade is their innovation. 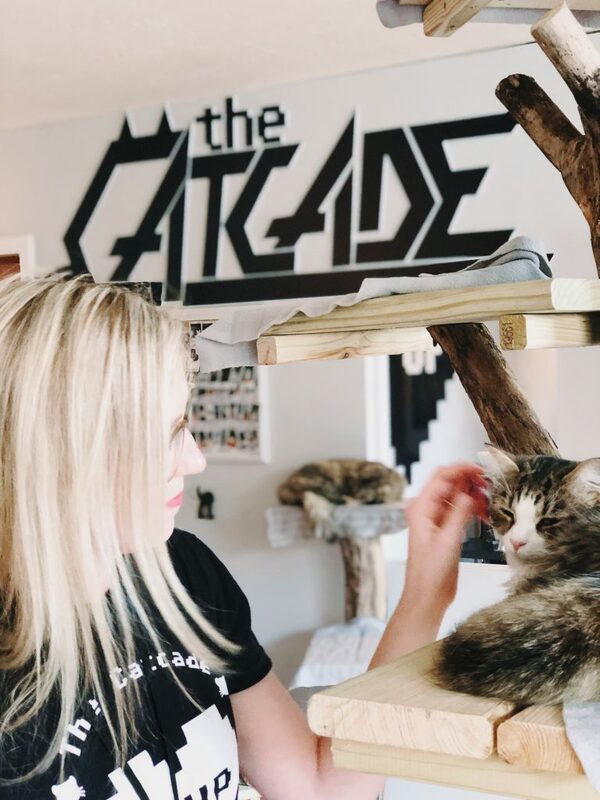 Not only do they have an arcade theme, but they have plenty of ways to interact with the cats. Yoga with cats? They’ve got that. Blanket Fort Movie Night? Yes, they have that too. My personal favorite though is their free Wi-Fi because honestly, I can’t think of a better work-from-home environment. 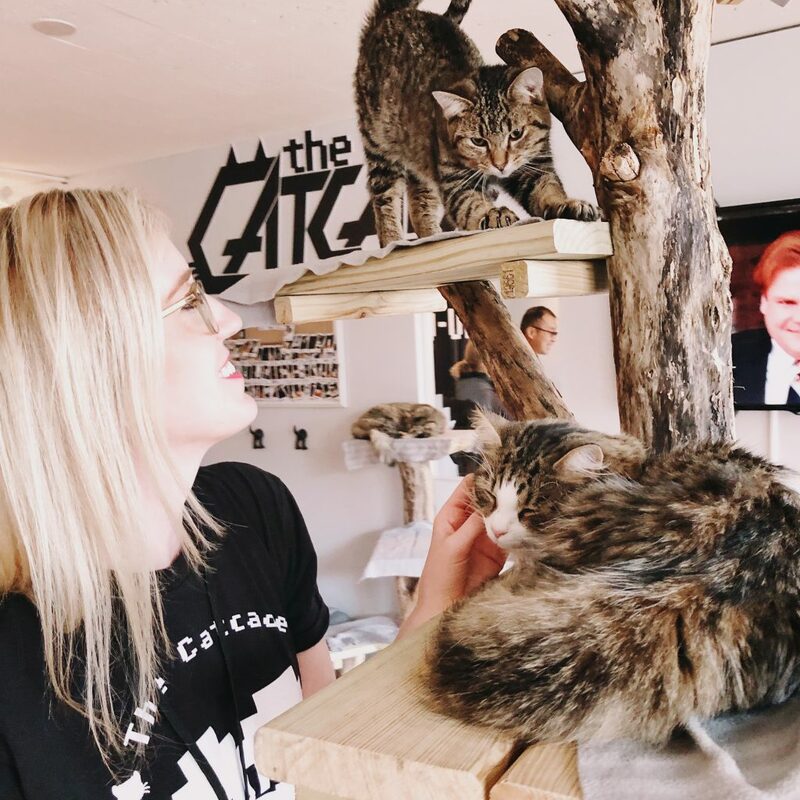 The CatCade is a new generation of shelters for a new generation of adopters. It’s approachable, low-key and welcoming. 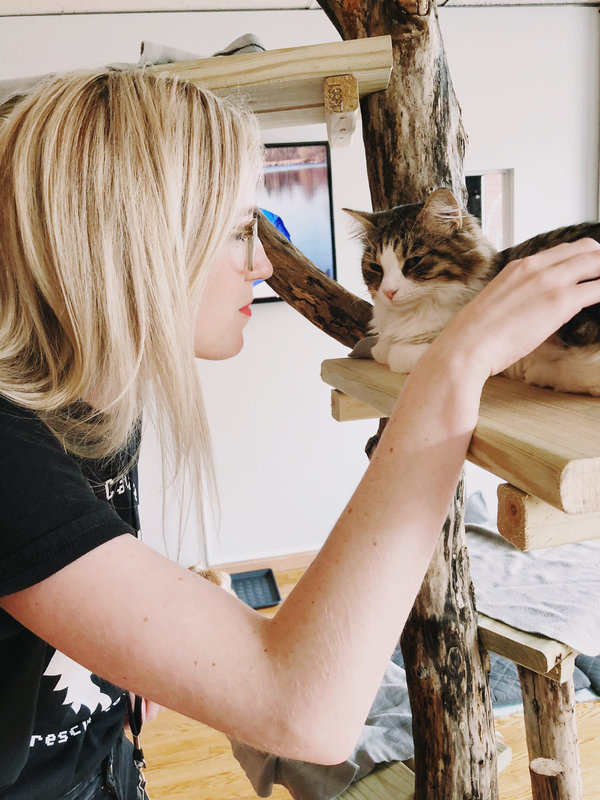 I could stay there for hours and hang with their feline residents. Be sure to make reservations before you go because they do fill up! This is why they’re my heroes. They saw what they wanted to do and they went for it. Now, they are helping cats find homes that otherwise might not get that chance. 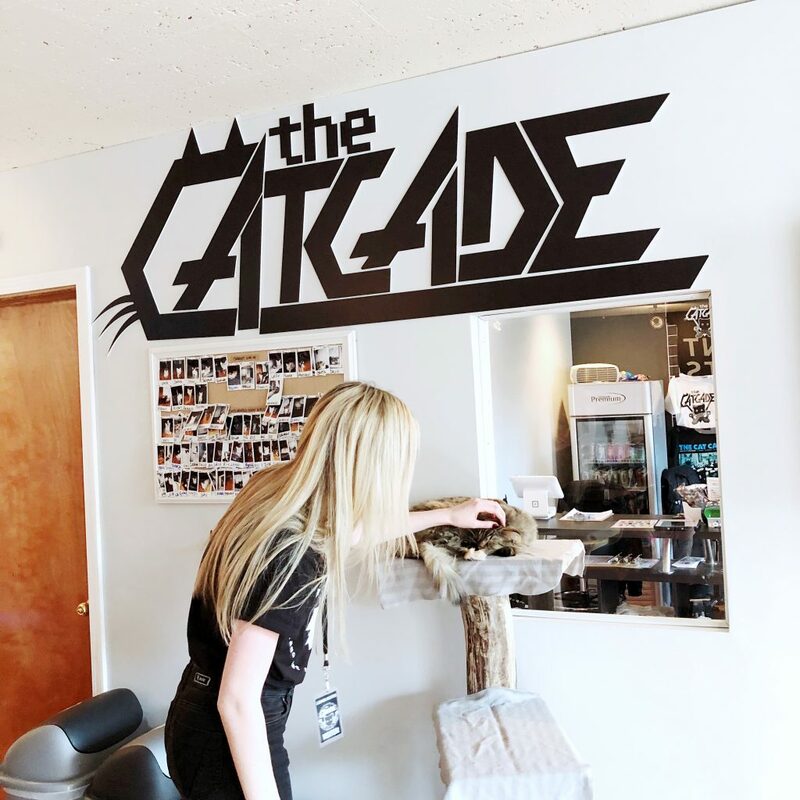 The CatCade opened their doors in August of 2017. Since then, they’ve placed 92 cats in forever homes. Did you read that?? 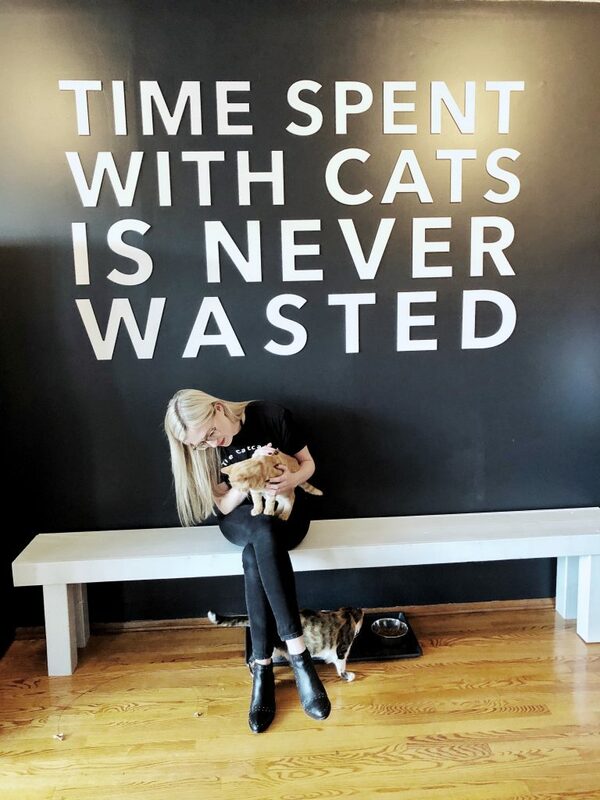 That’s more than 40 cats/month. That’s INCREDIBLE. So there you have it. Superheroes, as we know them may not exist, (although I’m totally Catwoman) but I’ve found everyday heroes in the rescue world. And while Chris and Shelly might not have had a seat at the popular table, I think they’re the coolest people I’ve met in a long time. If you want to help support The CatCade’s mission, visit their Amazon wish list or donate here. With so many adoptions, it’s hard to keep an updated bio for each available cat. One of my favorites, Jasper, was just scooped up and taken to his forever home. This guy is Matthew and he’s pretty much the chillest cat in the Cade. 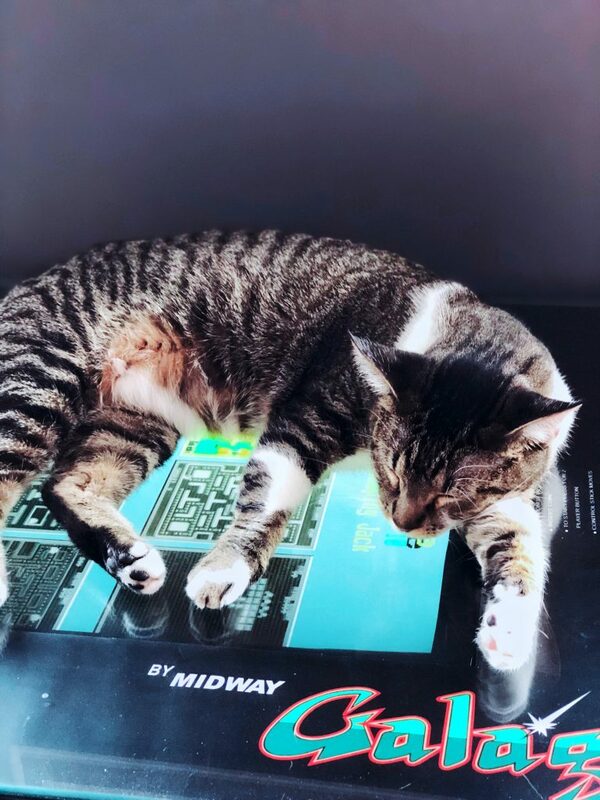 He spent his time sleeping on the arcade game and was happy enough when I told him how handsome he was. 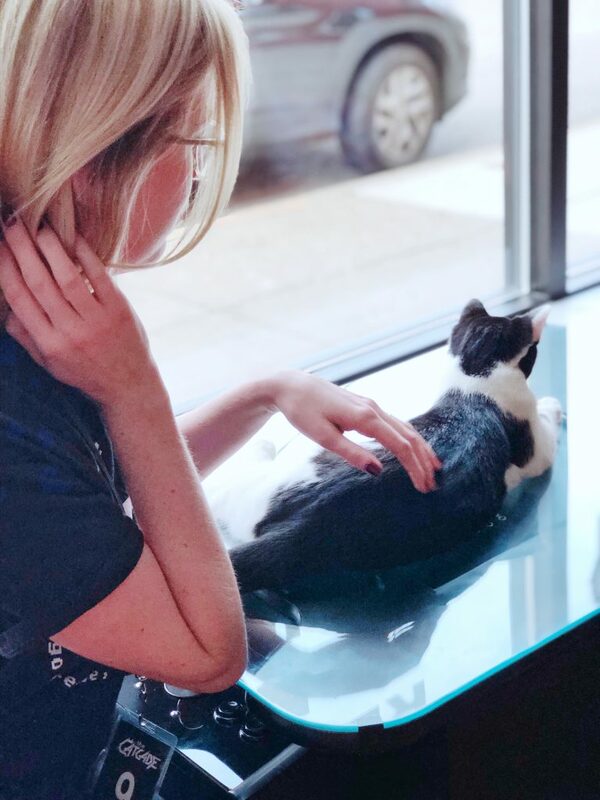 He’s still waiting for his forever home so be sure to stop in and see if he’s the companion you’re looking for. Spoiler alert: he is. 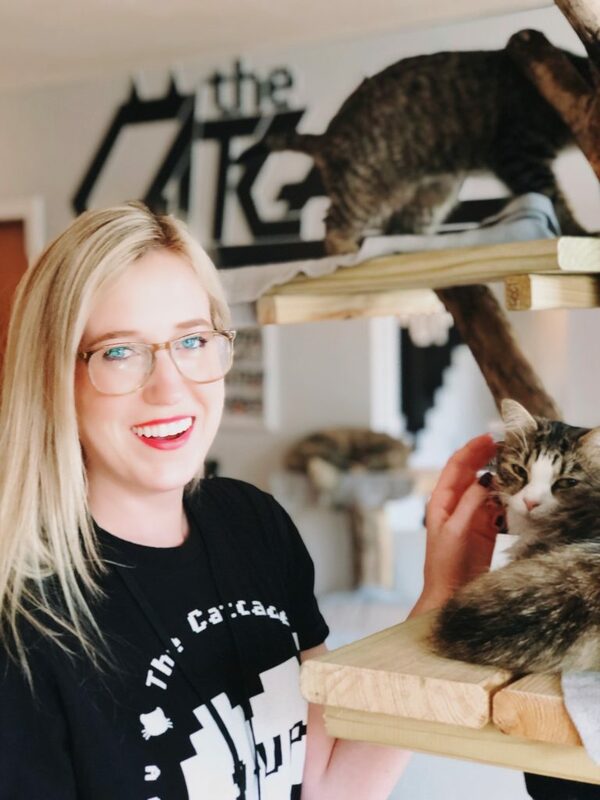 I actually bought this shirt in support of the CatCade opening back in August. I wear it often under a jacket with some booties and black jeans. I was impressed with the quality of the shirt and cozy up in it often. You can buy your own cool cat couture right here. the worst states to be a dog.